Installation of Slenderglaze windows to replicate originals and provide double glazing for a property in Somerset. Sash Consultancy won the Most Innovative Company category at the 2009 Small Business Awards, hosted by the Federation of Small Businesses (FSB), Business Link and B&NES. Thanks to its timber-framed sash windows featuring bespoke glazing, the Priston company was recognised for solving a significant problem faced by period and listed property owners. 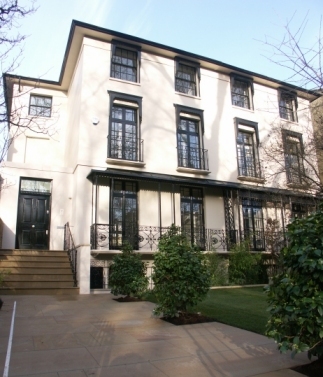 Sash Consultancy’s Slenderglaze slimline glazing allows windows in traditional properties to be upgraded and become more energy efficient; without compromising the appearance, character or value of the building. Before the development of this product and its technology, the upgrading of period properties with double glazing was deemed undesirable; owing to the plastic, aluminium and unsuitable timber window frame options available. Planning criteria for listed and conservation area properties meant that double-glazing was not an option – until this breakthrough. “This new product is very much a design driven by necessity” commented Pete Bale, managing director of Sash Consultancy. “The majority of owners of period property are keen to upgrade their homes to make them more energy efficient, but have their hands tied by planning. The specialist glazing from the firm has helped period property owners in London and the South West meet the planning criteria needed to upgrade their windows. 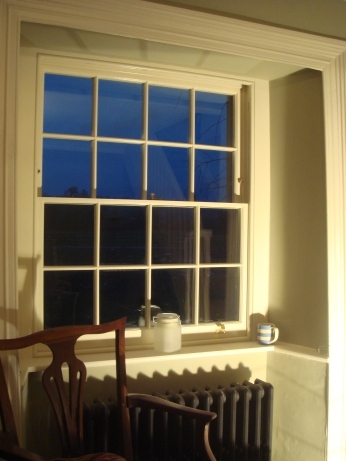 Sash Consultancy’s windows have also found favour with several local authority conservation officers. “We are already working with conservation architects and builders renovating period properties, who have been genuinely amazed by this product” continued Mr Bale. Last month small businesses across Bath and North East Somerset were given the chance to shine in the second annual awards launched by the Bath branch of the FSB. Ten awards were presented at a gala award ceremony at The Guildhall in Bath. Sash Window Consultancy is FENSA registered and offers a complete professional service installation. For friendly and free advice or to arrange a survey, call 01225 424434 or visit sashconsultancy.co.uk for further details.